But life post-Fuego is drastically different. They’ve abandoned their home, as due to the lava and debris, the Guatemalan government deemed it unfit to live in. The shelters established for Fuego victims were overpopulated and unable to accommodate Herman and his family,. Eventually they were able to find a new home and have begun to rebuild their lives. Still, Hernan’s three daughters are recovering well and continue to see Dr. Santizo for their follow-up appointments. Their therapy will continue for the foreseeable future. 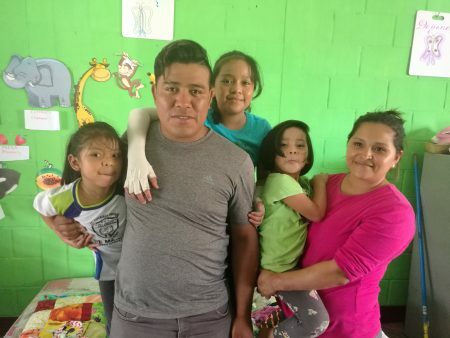 Thanks to your support, Partner for Surgery and ACPC have been able to provide Hernan’s daughters with physical therapy and the support of a psychologist. Hernan says he can’t thank enough those who donated. Consider making a tax-deductible donation. Become a volunteer by contacting ariel@companerogt.org. Use amazon smile when shopping online. Spread the world on social media. 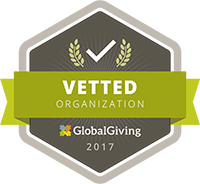 We are proud to be part of the GlobalGiving community. We are very grateful to our GG donors for their generosity. We are looking for volunteers with applicable management, fund raising and marketing skills to help Partner for Surgery transform more Guatemalan lives through medical and surgical care and with education for prevention of disease and birth defects. If you would like to volunteer or know of someone who would be interested in joining Partner for Surgery, please send an e-mail to ariel@companerogt.org (Ariel Marroquin, Director of Operations) or call +1 (703) 893-4335. Send a check to our PO box or use one of the links below to help fund Partner for Surgery. Please note that these websites also accept credit card payments through secure servers. NOTES: 1) GlobalGiving retains 15% of donations; 2) When you shop on Amazon through Amazon Smile, a % of your purchase will be donated to Partner for Surgery. Federal employees can contribute through the Combined Federal Campaign. Our number is 11624. Partner for Surgery is a registered 501(c)(3) public charity and gifts to Partner for Surgery are tax deductible to the extent allowed by law. © 2019 Partner for Surgery.